Now that I’m back in our humble abode, in Vancouver… I look for ways to return to me. To my life. I find I long to get rid of stuff, move us into a bigger apartment, and change my old habits. It’s a positive thing. One very comforting activity came back to me in a reminding gift from my friend, Paula: a welcome home card with encouraging words, and a little jar of yummy homemade apricot jam. Oh yeah. I remember. I like making jam. I love picking fruit, and turning it into something. 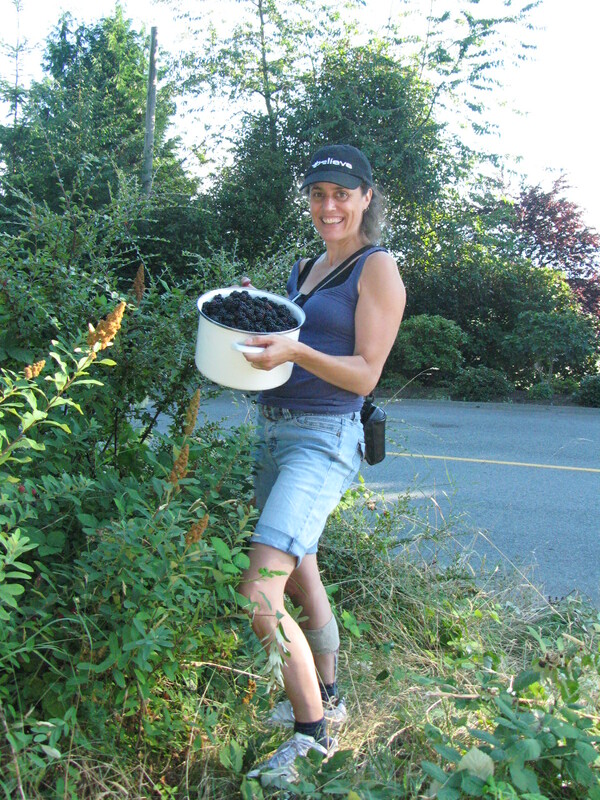 I was fortunate to be able to catch the last of the apricots (thank you for being a delayed summer), and also gather blackberries in my neighbourhood with my friend. (free fruit is even better!) 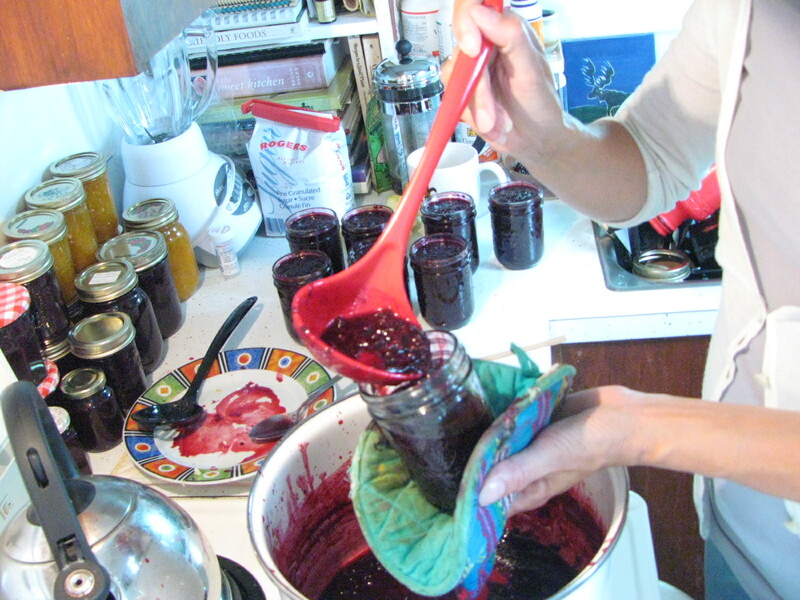 And, I “holed up” in my tiny kitchen, and happily got into jam making. Ahhh… bubble, bubble, toil, and NO trouble…. A tweet from Angela (@Tyranngosaurus) wanting to know my recipe prompted this post. 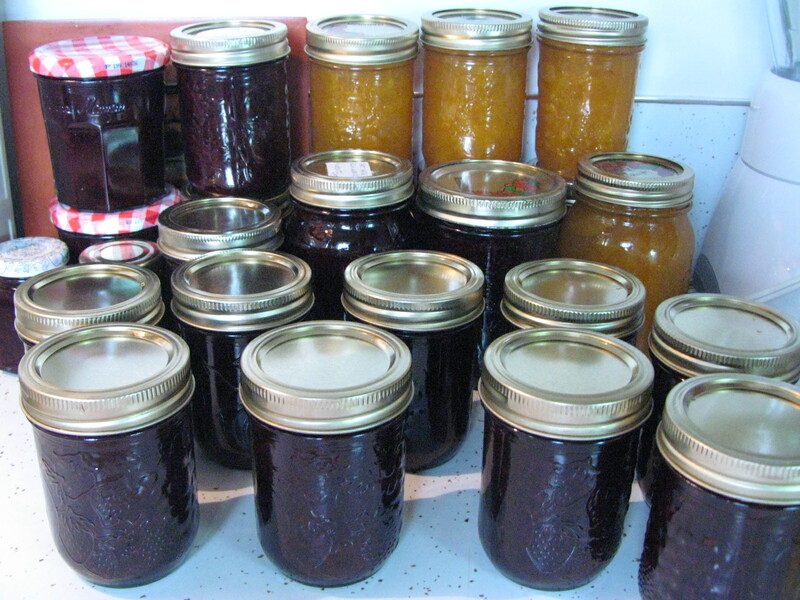 So bear with me as I reveal my easy Blackberry and Apple Jam recipe for her. 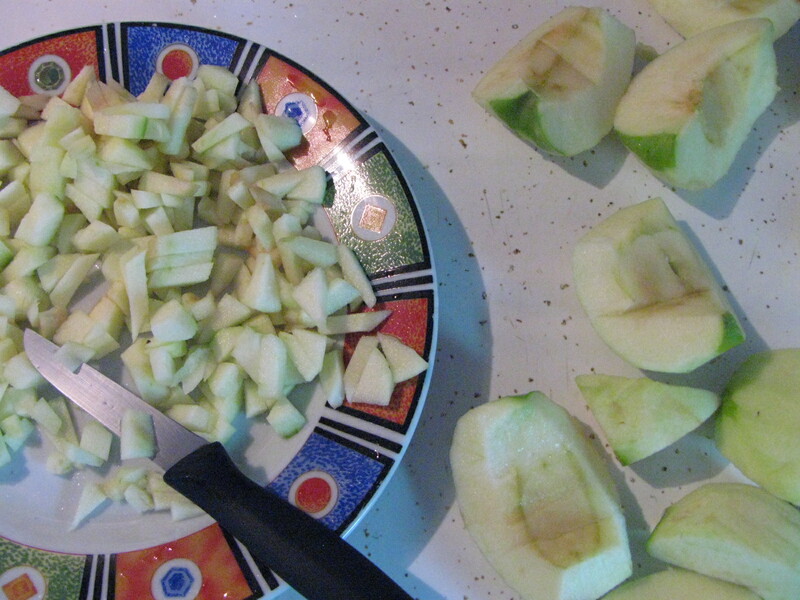 Peel, core, and finely chop apples. Combine apples, berries, & water in large saucepan. Bring to boil, simmer, covered for about 30 minutes or until fruit is soft. Measure fruit mixture, allow 3/4 cup sugar to each cup of fruit mixture (I actually cut down on the sugar and it turns out fine… hate using too much of that white stuff!). 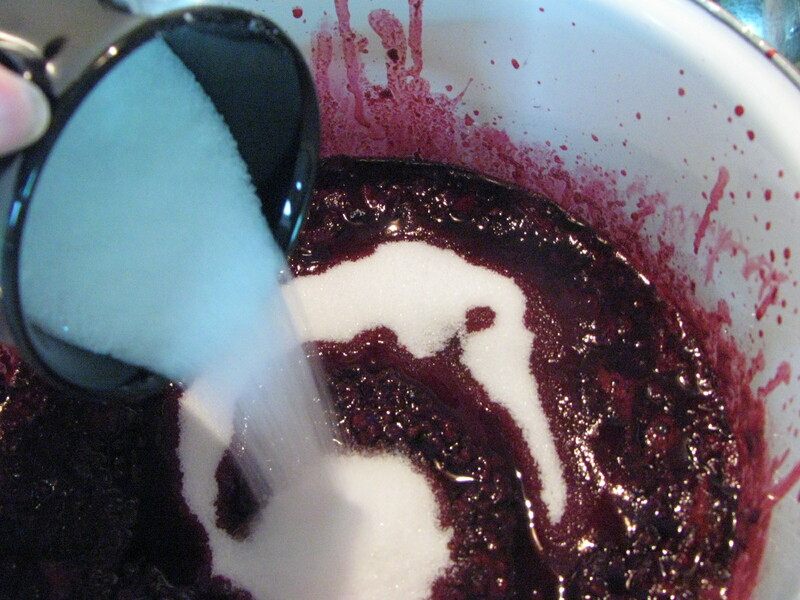 Return fruit mixture & sugar to pan, stir over heat, without boiling, until sugar is dissolved. Bring to boil, boil uncovered, without stirring, for about 15 minutes, or until jam jells when tested. Pour into hot sterilised jars; seal when cold. (I seal when hot and listen for the *pinging* of the lids closing down as they cool.) Makes about 6 cups. Some Trilby tips (I’m not really an expert): get softish apples so they melt away with the berries. Apples are really good as a natural pectin so you don’t need to add any fake pectin. And, don’t be nervous about playing with the measurements, especially the sugar. It always seems to work out for me. And, if your jam is a bit liquid, don’t worry, it’s great on yogurt & ice cream!! That’s our specialty, even with firm jam! Funny how a simple “back to basics” action can calm the soul. I wonder why? It doesn’t really matter, does it? We now have some good treats for our winter blues, and some special gifts for those valued people in your life. What do you do to get back to yourself? Hi Andy… So glad this gave you some inspiration! 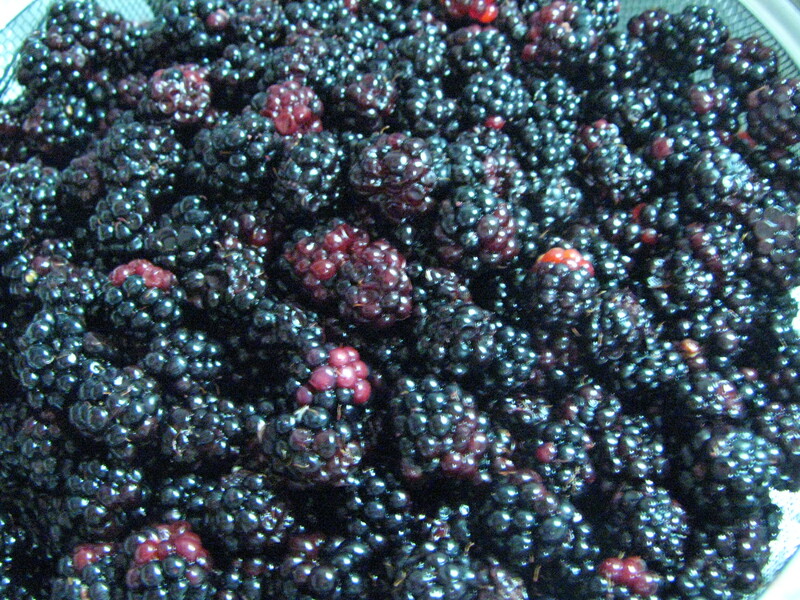 There are tons of blackberries still to be picked if the rain hasn’t knocked them off…but, don’t wait! It’s fun to take advantage of the seasonal fruit. Happy jammin’! Thanks for the post! Spending time in the kitchen (for fun, not just because we need to eat everyday) brings me back to myself, too. I’m going to try your recipe next week. Do any variety of apples work? I think I’ll cut the sugar – good to know it works with less!